IDEA Cellular today introduced a bouquet of special mobile communication services to cater to their information and communication needs for its subscribers in delhi and NCR circle. Idea will provide unique utility service to get instant information on Games, places of tourist attraction, restaurants, hotels, hospitals, events, and transportation facilities in and around the city, besides affordable ISD tariffs especially to the Commonwealth countries, to its subscribers and the visiting tourists in the city. Idea’s new initiatives City Life, Inroamer infoline and special ISD Tariff vouchers – are designed to assist travelers and other Idea subscribers with their queries pertaining to city specific information, downloads, economical international calling etc. This new and fresh ‘Idea City Life’ is an information guide on the city of Delhi. Under this service, two Regular SMS Alerts relevant to the city on topics like Restaurant Reviews, Prominent Sale & Exhibitions, Theatre Schedules & Information, Movie Reviews and Night Life will be sent to the user, everyday. Additionally, there will be two alerts on the medal tally and games updates. Every SMS alert will carry a USSD code which can be dialed to know the Hot Deals, Movie timings/reviews, Nightlife, Eat Outs and Plays/Concerts relevant in the city. 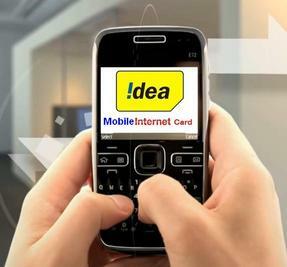 Idea subscribers can dial *777*11# to subscribe to this service for a price of Rs. 40 and validity of one month. ‘Idea Inroamer Infoline’ is another easy to use, Interactive, IVR based service with SMS integration, offering its users (both local and international inroamer) an opportunity to search for the location of Shopping malls, ATM’s, Restaurants, Coffee shops and other service outlets in the city. The service offers region wise, state wise and city wise information to the users. Roaming customers can search their location in the city where they are roaming, on their mobile phones. This service is a complete guide for the roamers in select cities across India, including New Delhi. The infoline can be accessed by dialing 56665 for Rs. 3/min for National Roamers, and Rs. 49/min for International Roamers. Visitors and other local Idea subscribers can also benefit from special ISD tariffs for calls to many of the Commonwealth countries, and US & Canada. With a simple recharge of Rs. 57, Idea subscribers can get ISD tariff of 1 paisa/second for calls to US and Canada, with a validity of 30 days. The tariff of 1p/sec would be applicable for first 300 min and thereafter tariff of Rs 1.99/min would apply. Other ISD tariffs are – UK @ Rs 6.4/min; UAE/ Saudi/ Qatar/ Bahrain @ Rs. 11/min; UK (Mobile) @ Rs 10/min; Australia/ New Zealand (Fixed) @ Rs. 10/min; Nepal/ Pakistan/ Bangladesh @ Rs. 11/min; and Afghanistan/ Cameroon @ Rs 15/min.